The anti-American government of Venezuela has facilitated the growth of Iran’s narco-terrorist proxy Hezbollah and its human and drug trafficking operations across Latin America all the way up to the U.S.-Mexico border, Rep. Matt Gaetz (R-FL) and some analysts warn. Congressman Gaetz, and experts who participated in a field hearing in Florida hosted by the lawmaker, cautioned that Venezuelan government officials are lending support to operations carried in Latin America out by state sponsor of terrorism Iran and its ally, the Lebanese-based terrorist group Hezbollah. Hezbollah has been able to gain influence in Venezuela not just because of the ability the Venezuelan government has provided the group, but also because of the historic migration linkage in Venezuela from Lebanon, Syria, and other countries in the region that predates the origin of Hezbollah. In Venezuela, there are over 350,000 Syrian and Lebanese expatriates that hold high offices within the government raging from governorships to mayorships at the local level. Equally, in Syria, there are hundreds of thousands of Venezuelans … there’s been a bridge developed between these two countries that enable Iran and its proxies to use Venezuela as a launching pad for several operations in Latin America. Congressman Gaetz stressed that the presence of Iran and Hezbollah in Latin America pose an “asymmetric threat” to the United States, noting that the Shiite terrorist group has integrated with criminal networks in Latin America including Mexican drug cartels that operate along the U.S. border. The experts assembled by Rep. Gaetz stressed that Venezuela’s Vice President Tareck El Aissami, which the Trump administration has deemed a drug trafficker, is linked to Hezbollah and may turn the South American country into an Islamic state. “Given the current likelihood of succession — of the vice-president of Venezuela to the presidency — we could see an Islamic State in Venezuela right here in our hemisphere,” stressed Rep. Gaetz, reiterating predictions made by some of the experts. The analysts also noted that, by working with drug cartels, the Iran-allied terrorist group is fueling the flow of drugs from Latin America into the United States, including cocaine and heroin, which is currently feeding an epidemic that is killing tens of thousands of Americans each year. Joseph Callahan, a U.S. Army special forces veteran who spend decades deployed in Latin America, linked Hezbollah to the Los Zetas and Sinaloa drug cartels that operate throughout Latin America. “There is an exchange of tactics and procedures with narco-terrorists,” he proclaimed. Furthermore, data unveiled by Gaetz, a member of the House armed services and judiciary committees, revealed that the number of “cultural centers” operated by Iran in Latin America has nearly tripled from 36 in 2012 to “more than 100” today. Consistent with information provided by the U.S. military, the Florida Republican described the “cultural centers” as breeding grounds for homegrown jihadists. In 2015, Breitbart News learned from leading military officials and experts that the growing number of Shiite cultural centers in Latin America have provided Iran with a means to use Hezbollah and its Islamic Revolutionary Guard Corps (IRGC) to expand its covert recruitment operations throughout the Western Hemisphere. The U.S. State Department warned last year that the socialist country of Venezuela under its dictator Nicolas Maduro continues to maintain “a permissive environment” that benefits Hezbollah. Humire from the SFS think tank told Breitbart News that Hezbollah operatives in Latin America could attack the United States. 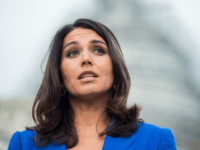 “There’s no doubt in my mind that if they wanted to, they could carry out an attack against the United States,” declared Humire, referring to Hezbollah jihadists in Latin America. Lebanese Hezbollah maintains an extensive regional network of supporters and sympathizers, some of whom are involved in trade-based money laundering and other illicit activities to generate revenue, a portion of which goes to support the parent organization in the Middle East. Lebanese Hezbollah also maintains an infrastructure with the capability to conduct or support terrorist attacks. As with every aspect of our counterterrorism efforts, the U.S. Government remains vigilant against these threats, working closely with our partners to protect the southern approaches to the United States. 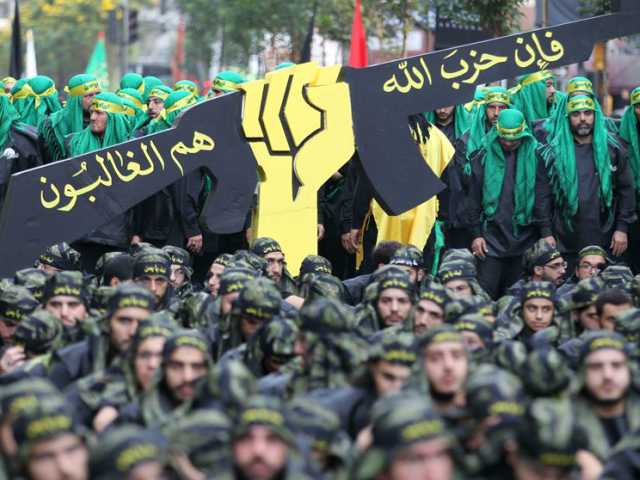 Despite the threat Hezbollah poses to the Western Hemisphere, Latin American countries have failed to designate Iranian proxy Hezbollah as a terrorist organization, Moises Vega de la Cruz, a public prosecutor for the Peruvian government, revealed during an event hosted by SFS last year.